“Light is a magic wand, the lighting must be mobile and modifiable, depending on one’s needs and desires, all that really matters is ambience and the beauty of a woman.” - Christian Girard. Azimut Industries is a French design edition agency, specialised in lighting products that combines smart technical solutions to reinforce the value of usage. 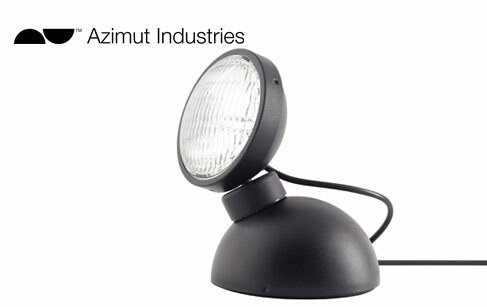 Azimut Industries have developed a complete range of spotlights for private and professional usage. From the very beginning, they decided integrating environmental issues in considering direct and indirect impacts of their activity. Ninety-eight percent of materials are recyclable and their product range integrates new LED sources generation, with the very low turn over and the partnership duration allowing for a real constancy in product quality.